The Optoma HD8200 follows in the footsteps of the venerable HD80, which was one of the finest 1080p DLP projectors under $10,000 during its time, and won our Editor's Choice Award. It had great ANSI contrast at 515:1 and superb color performance. Now, the HD8200 takes the HD80's impressive legacy and surpasses it, reaching an impressive 582:1 ANSI contrast. 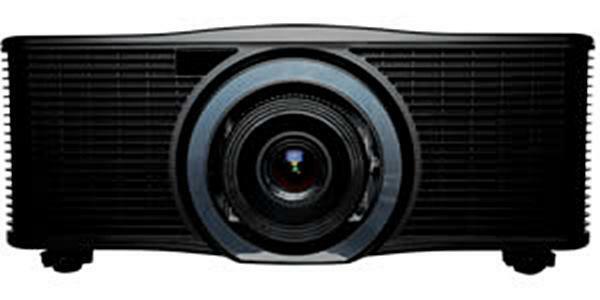 The HD8200 also has some unusual and welcome features for a DLP projector - namely a 1.5:1 zoom lens, as well as vertical and horizontal lens shift. Reasonably quiet operation and frame interpolation round out the package, making the HD8200 an attractive value at $5000. Contrast. 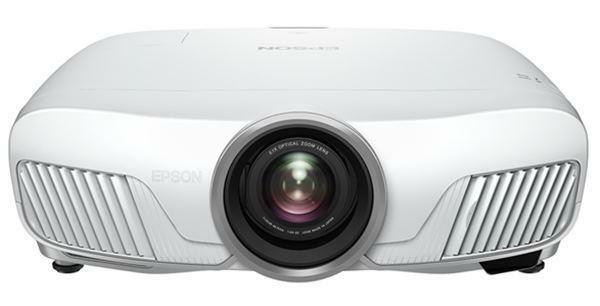 The HD8200 has the highest ANSI contrast we have yet measured on any projector. It produced 582:1 ANSI contrast using the projector's Cinema mode, making no adjustments -- this is an "out of the box" measurement. This beats out the previous record holder, the BenQ W20000, which measured 560:1 ANSI contrast. Of course, ANSI contrast is not the only factor that contributes to the perception of contrast on the screen. Native on/off contrast, and when applicable, the action of a dynamic iris, also influence the perception of dynamic range on the screen. Though ANSI contrast on the HD8200 is the highest we've seen, native contrast measured 8,700:1. This is average native contrast, and not exceptional by competitive standards. The Epson 6500 clocked in at 18,000:1, and the JVC RS10 was 23,300:1. Lumen output. The HD8200 is designed for light-controlled home theater use. There are no Dynamic or Living Room modes similar to those on some competing models which boost brightness in order to compensate for ambient light conditions. In its brightest mode, the HD8200 measured 681 lumens; this was "Bright" or "Photo" mode (they measured identically) in high lamp with the zoom lens at its maximum wide angle. In Cinema mode, the HD8200 technically measured nearly 600 ANSI lumens on a white 100 IRE screen, again with lamp on high and zoom set to wide angle. However, due to the action of an auto-iris, this is not indicative of actual average picture luminance. Once you get anything other than white on the screen, the iris begins to close down. On a 50 IRE screen, the iris reduces lumen output by 1/3 from what it would be with the iris off. Thus, if the average picture luminance is equal to 50 IRE, the real maximum lumen output on screen is closer to 400 lumens. The low lamp setting reduces fan noise to negligible, increases lamp life to 3000 hours, and drops lumen output by 28% in all operating modes. If your installation requires using the long end of the zoom lens, going from maximum wide angle to maximum telephoto drops lumen output 34%. Most users will want to consider using the wide angle end of the lens to get the most lumen output possible. Connectivity. Connectivity on the HD8200 is among the best in its class. The projector has two HDMI 1.3b ports, one DVI-D port, one VGA/Scart input, one 3RCA component, s-video, composite, RS-232c, and two 12-volt triggers. Three digital inputs makes it easy to connect all of your high definition sources simultaneously, and the two 12V triggers can accommodate an anamorphic lens and motorized screen. Audible noise and heat. Fan noise in normal mode is somewhat higher than average for 1080p home theater projectors as a class, but not objectionably loud. The unit has a 220W lamp, which is about as low as you can find on a DLP home theater projector. Some DLP models use 300-watt lamps which throw off quite a bit of heat in the room. The 220W lamp is a welcome improvement. Thanks and about time ive been waiting for this for the longest anyway do you think that we will be seeing 100hz ( or 120hz) on dlp's for the near future?? Is FI only designed to be used when fed a 24p image? hey thanks for good information about the Projector.i have also purches it. Domonic thank you for your question. I would like to start by saying that Arcam Ltd and Optoma have reached an agreement in which we will release the new Optoma 8300 model in September 2009 which we have been working on together for over a year now. We will bring our extensive interpolation knowledge to the table to help Optoma with the 8300. It will include a 100Hz and 120Hz mode amongst many other new features. All this and we intent to find new Korean manufaturers to reduce the rrp to beat our strong compition. It is sold as HD-82(Asia model) in India . 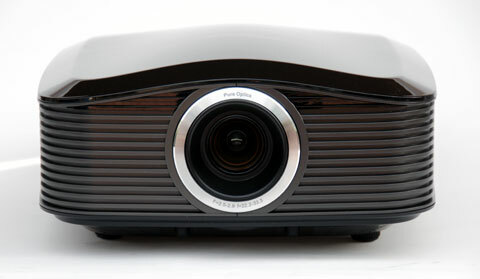 This is a very good Home theatre projector and value for money. Good luck to you. I have the optoma 8200 for 3 months and bot it based in yours test. Your recomendation was very useful and real . 10/10. thanks ,is a great projector. Good review of a great projector. Some time ago users discovered a flaw in the projector where red and blue colors are blurred. When watching movies it's very hard to see this, but when the projector is used with a HTPC it can be clearly seen as red and blue fonts/text are blurred, sometimes almost unreadable. I have not seen any response from Optoma even when this problem has been confirmed with several different euro-units and all the firmware versions. It's a shame that such a great projector has such a big problem. I just hope it will be sorted out with a firmwire update, until that happens I do not recommend HD82 if you plan to use it with a computer. Hi. It seems that when I'm using the optoma HD82 on a dvd movie, it's quite clear, but when using the xbox360, it seems that the quality of the picture changes to a "low quality". what will i do? thanks!! !